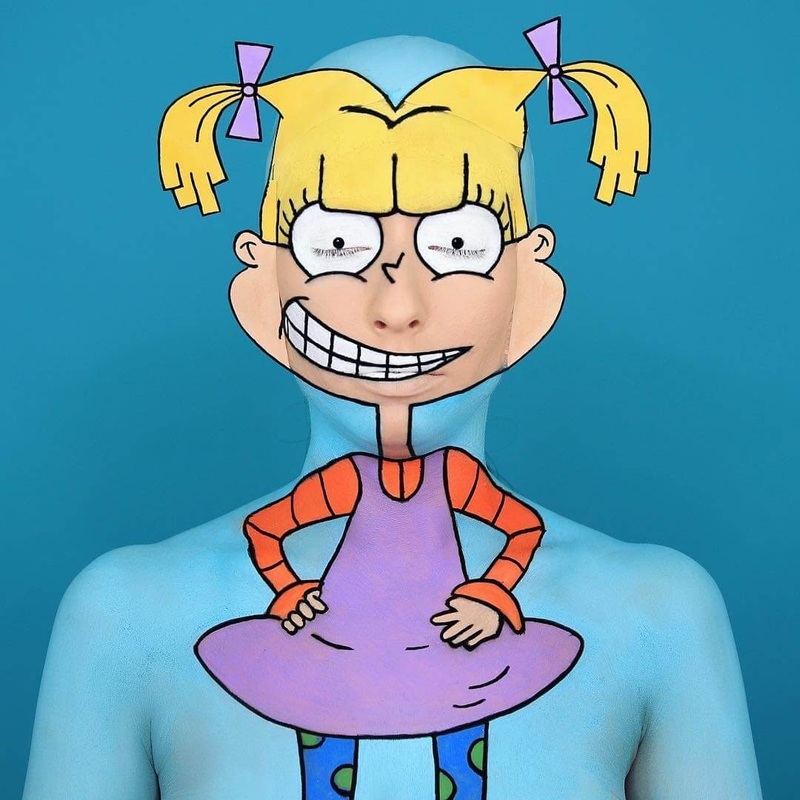 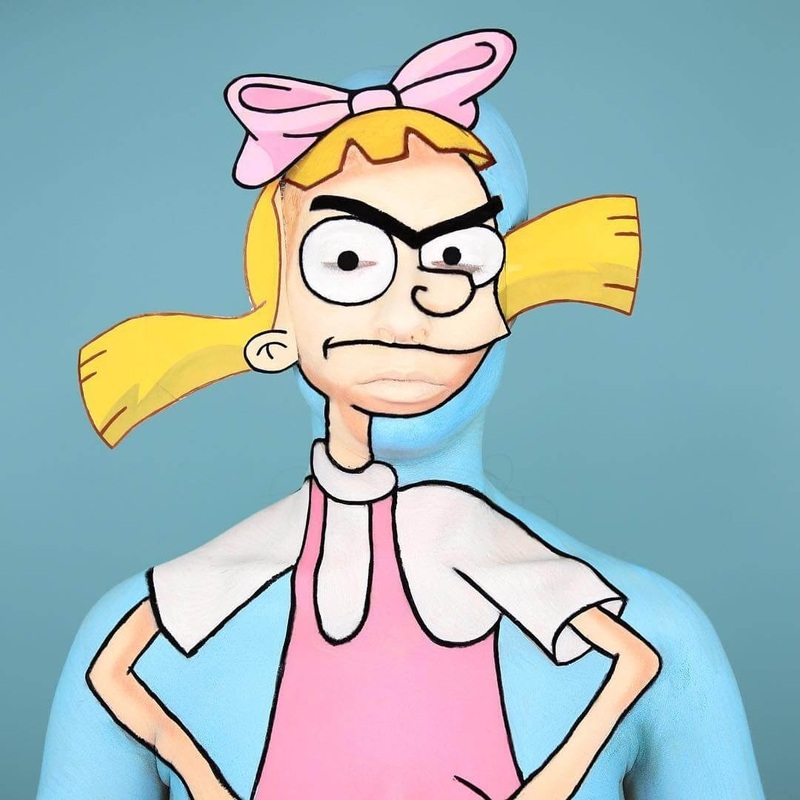 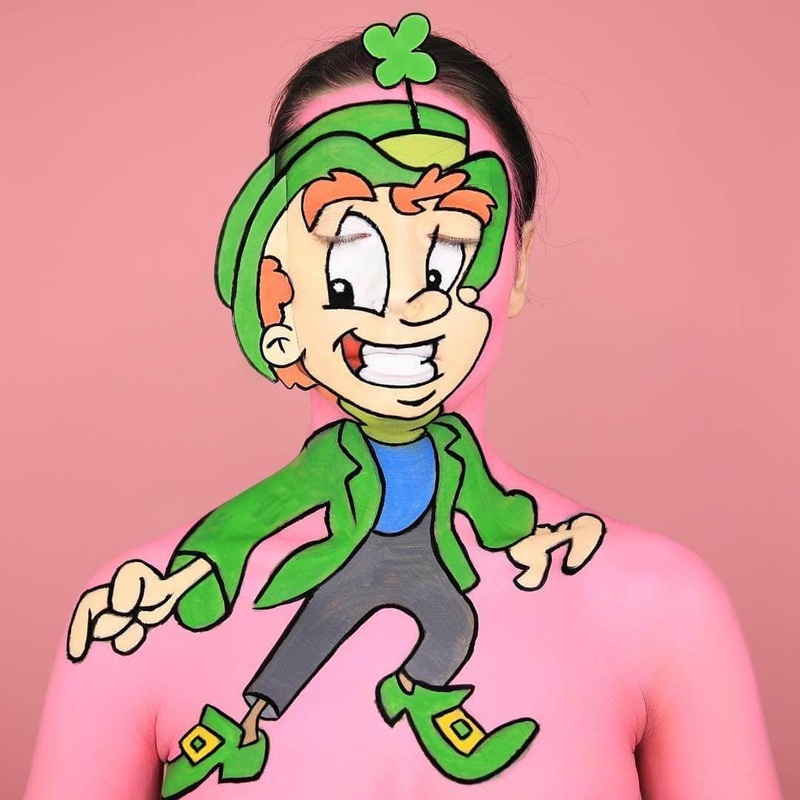 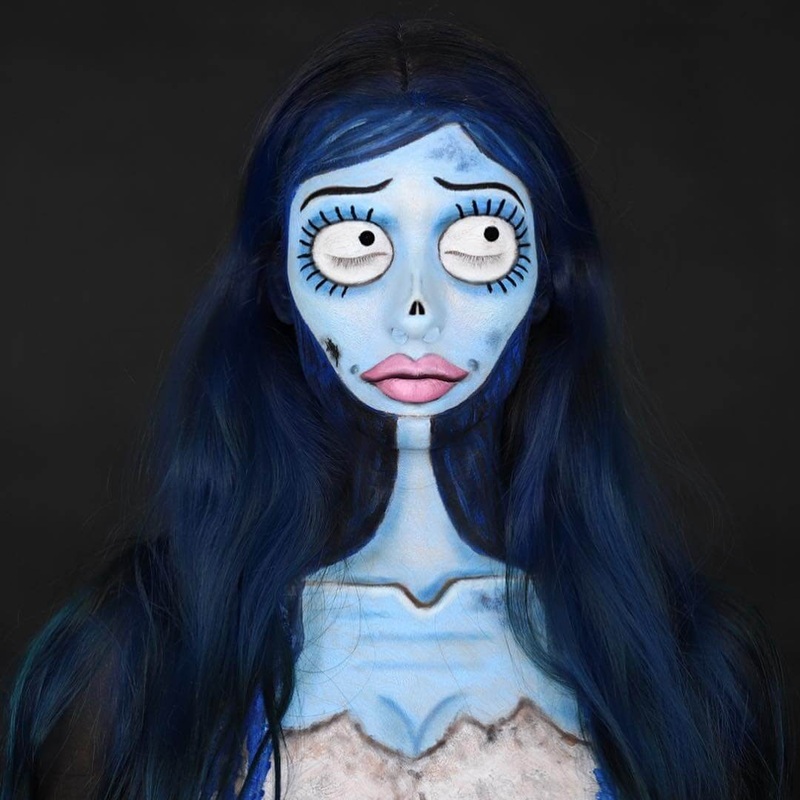 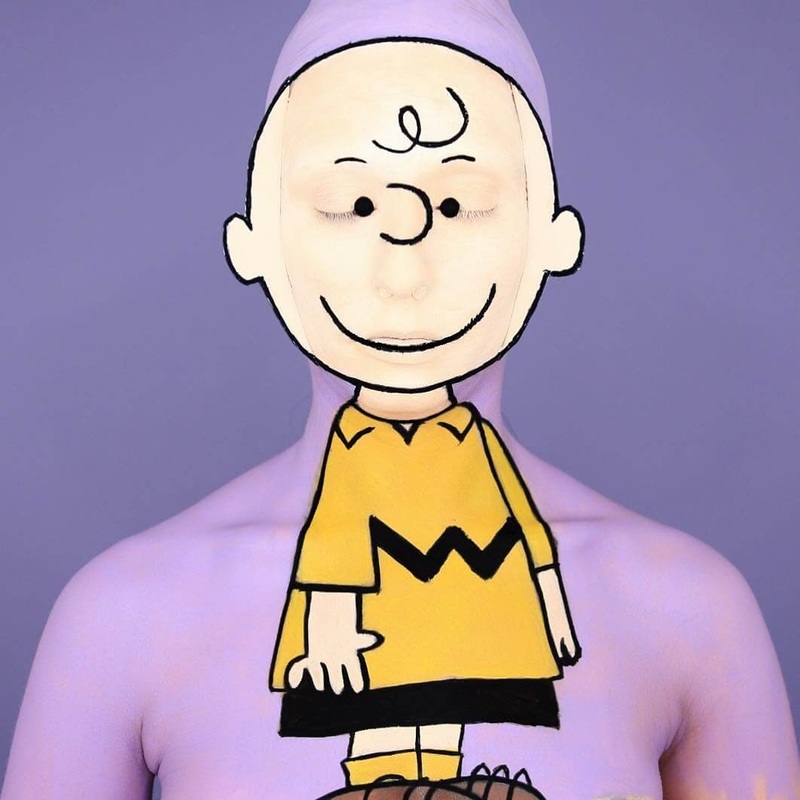 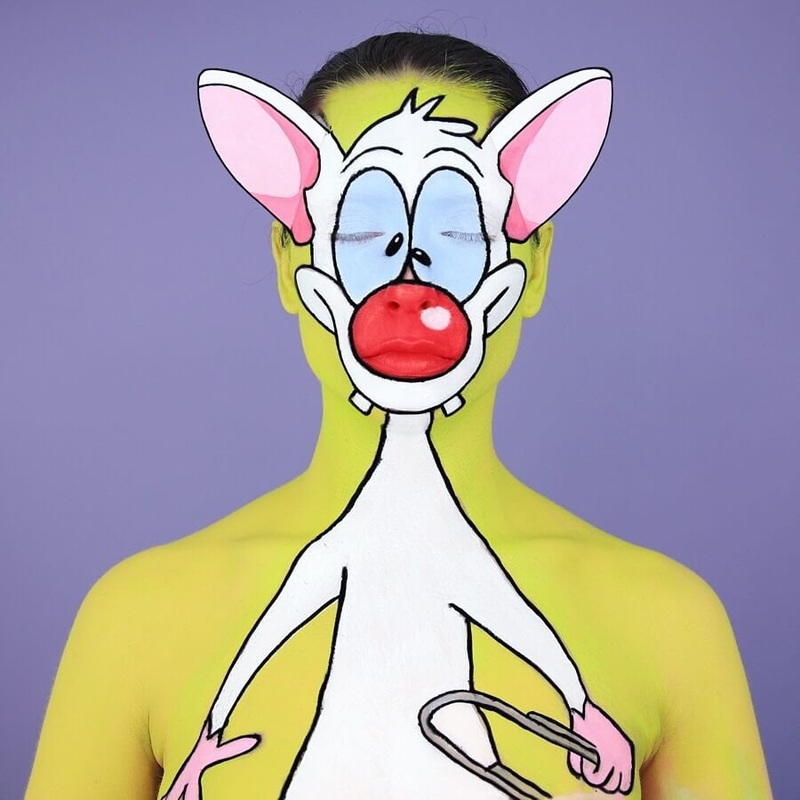 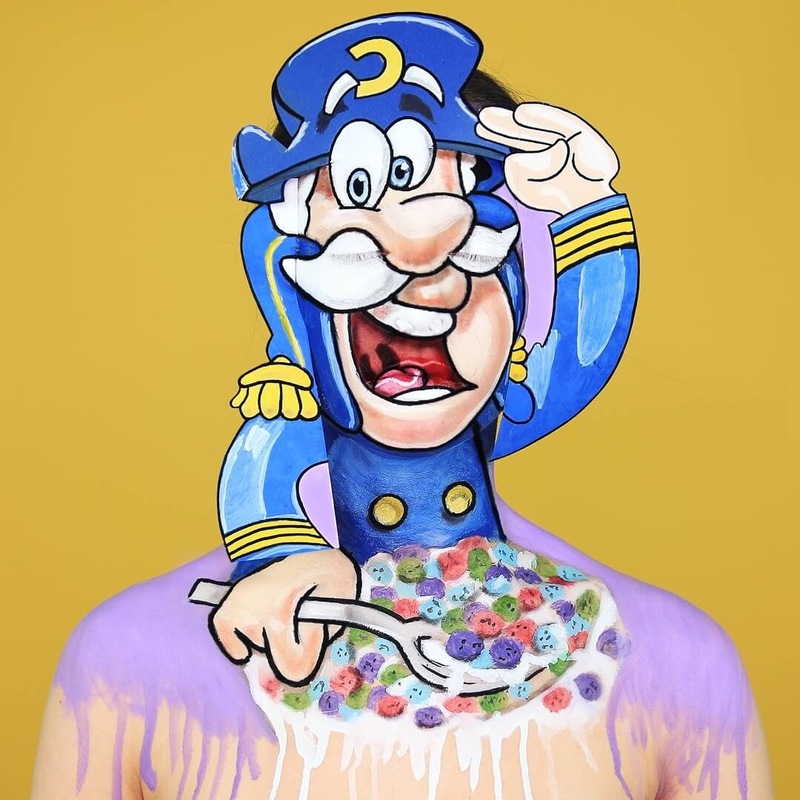 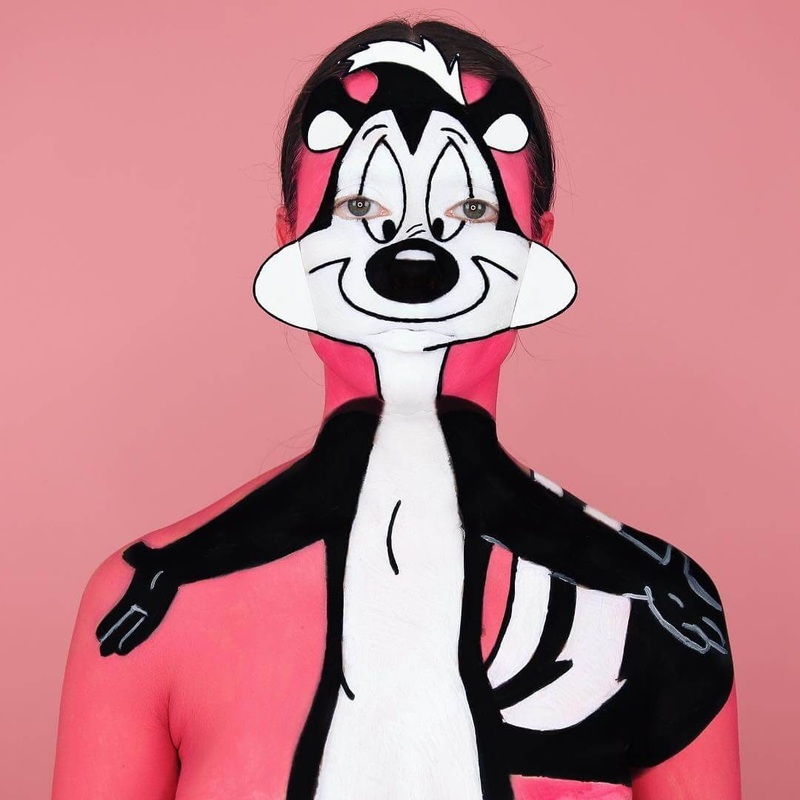 An artist that applies paint on herself, to recreate some of the most beloved cartoon characters, of the present and the past. 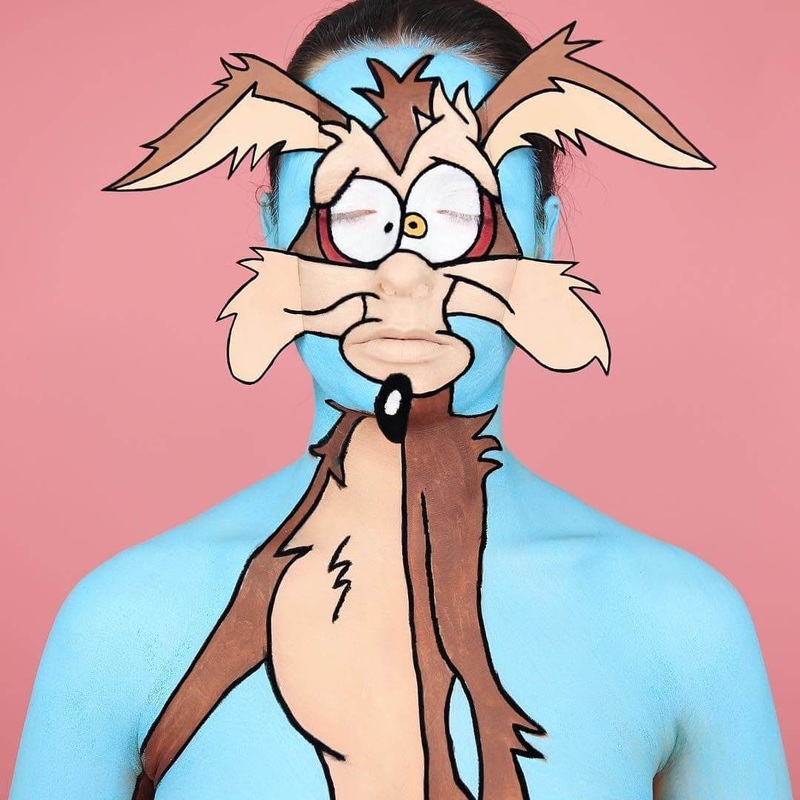 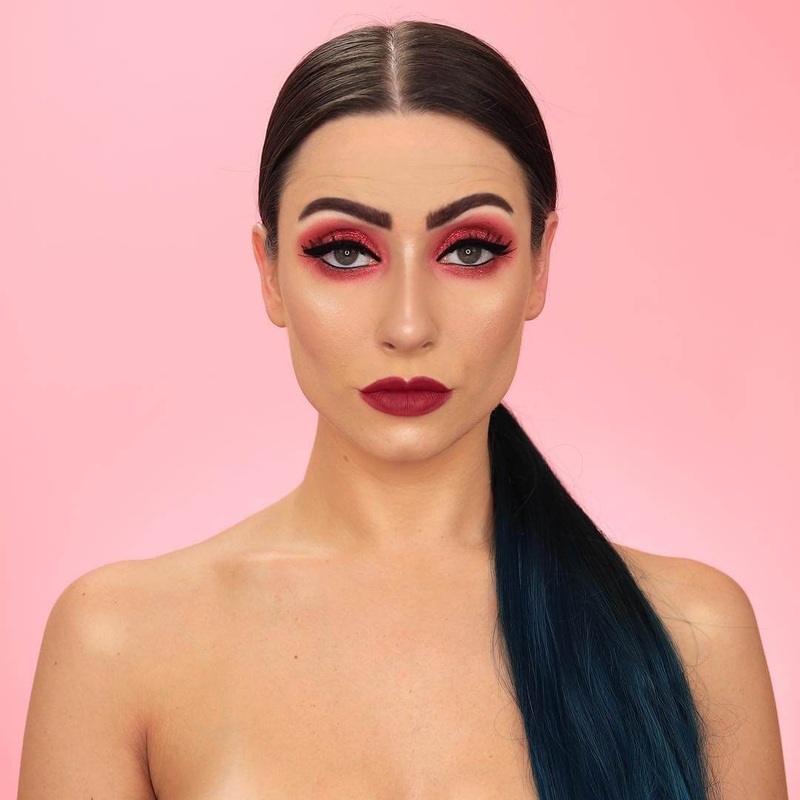 As well as recreating animated figures, Annie Thomas has a diverse makeup channel, where she experiments and hones in her skills with beauty looks, special effects and an occasional abstract makeup looks. 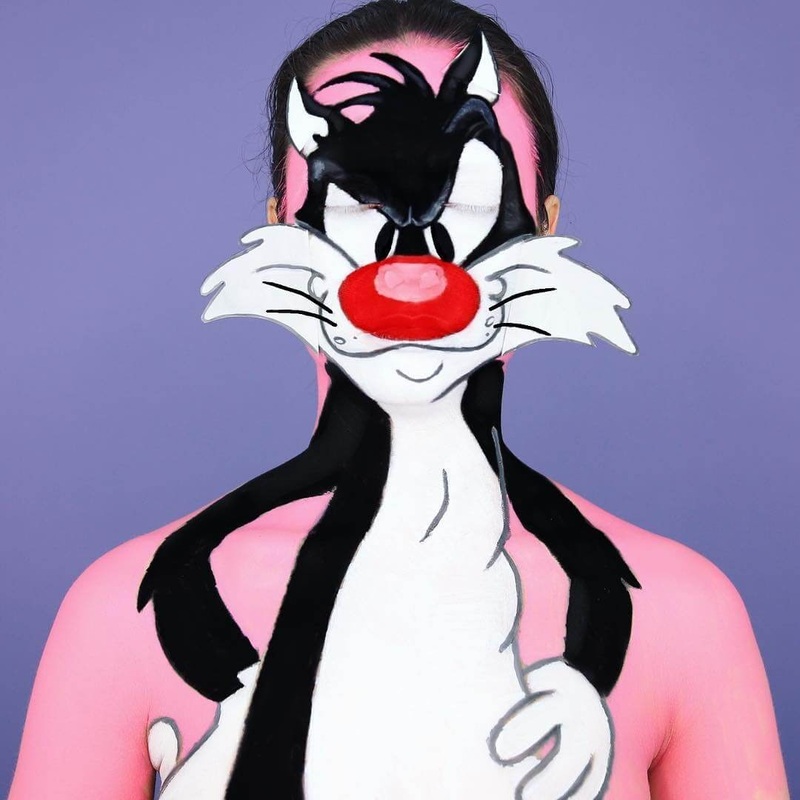 Going back to what we are showcasing today, her cartoons, when the image she is trying to portray, exceeds the silhouette of her body, she uses card stock paper, for the extra real estate. 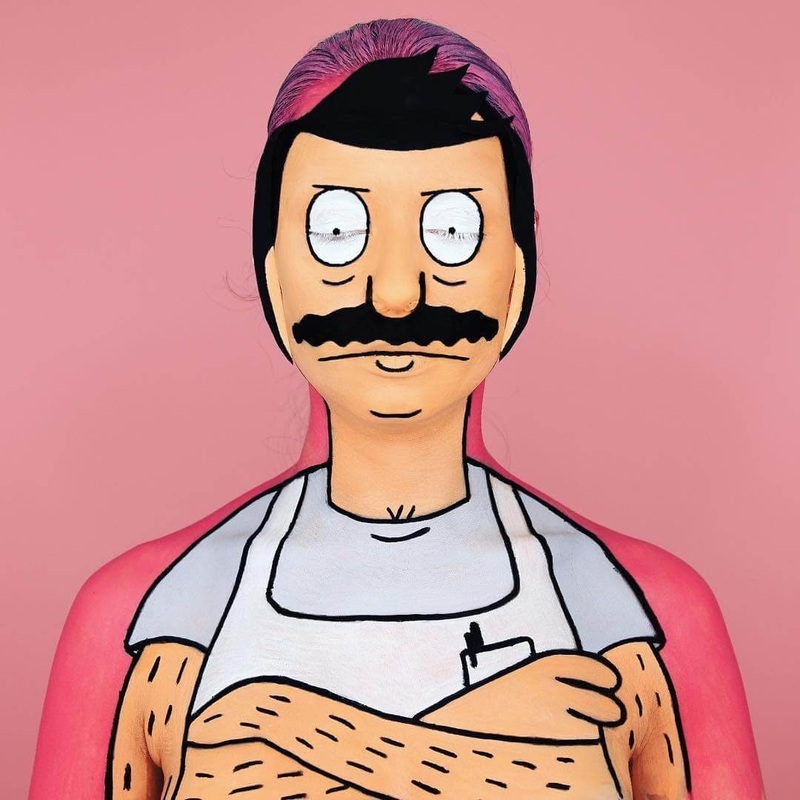 Thomas is a very prolific artist, so if you don't find your favourite character here, you are almost guaranteed to find it on her Instagram feed. 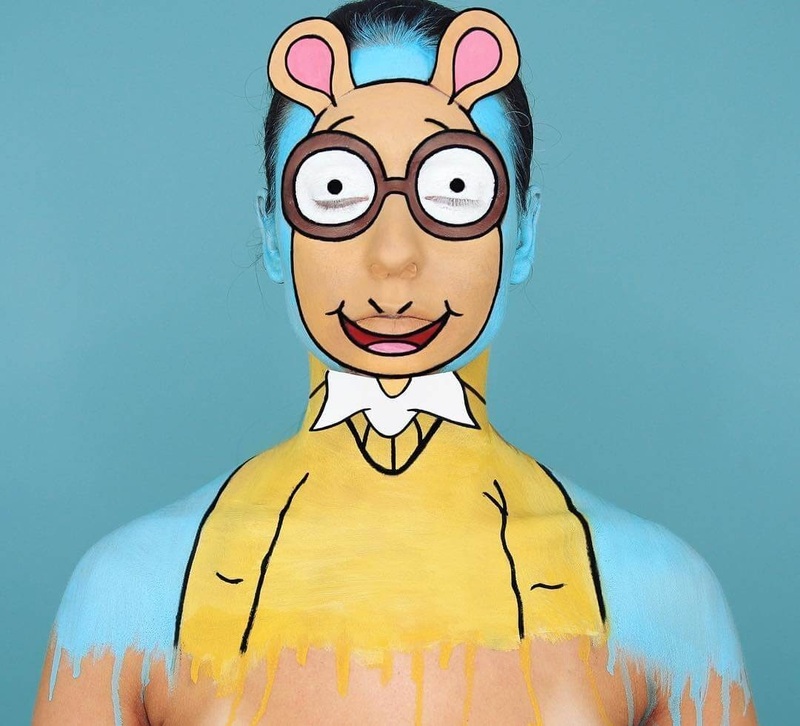 Enjoy a walk down the page and back in time, to your childhood. 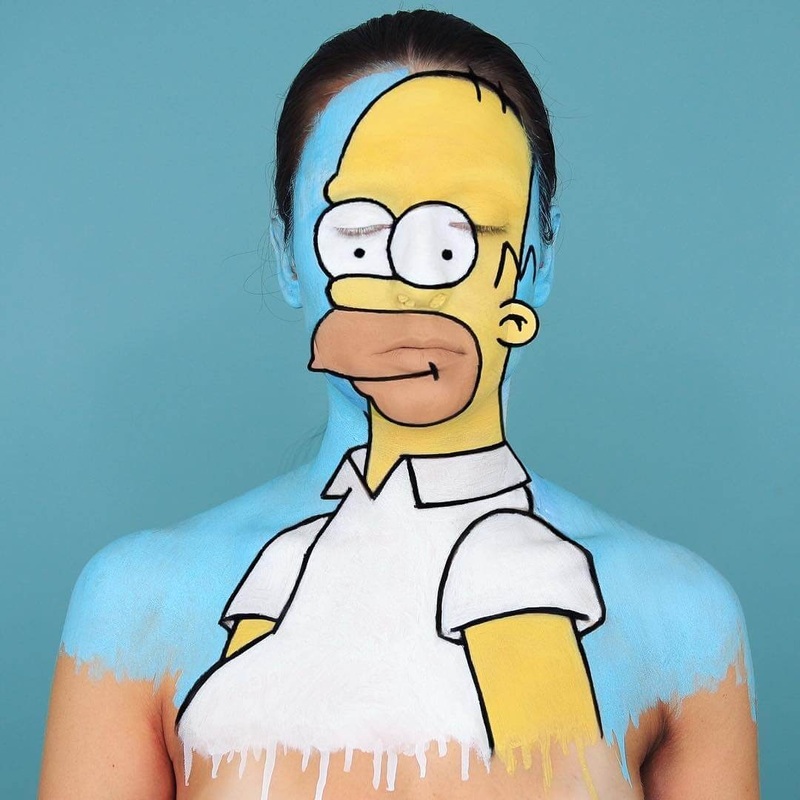 Homer Simpson - The Simpsons. 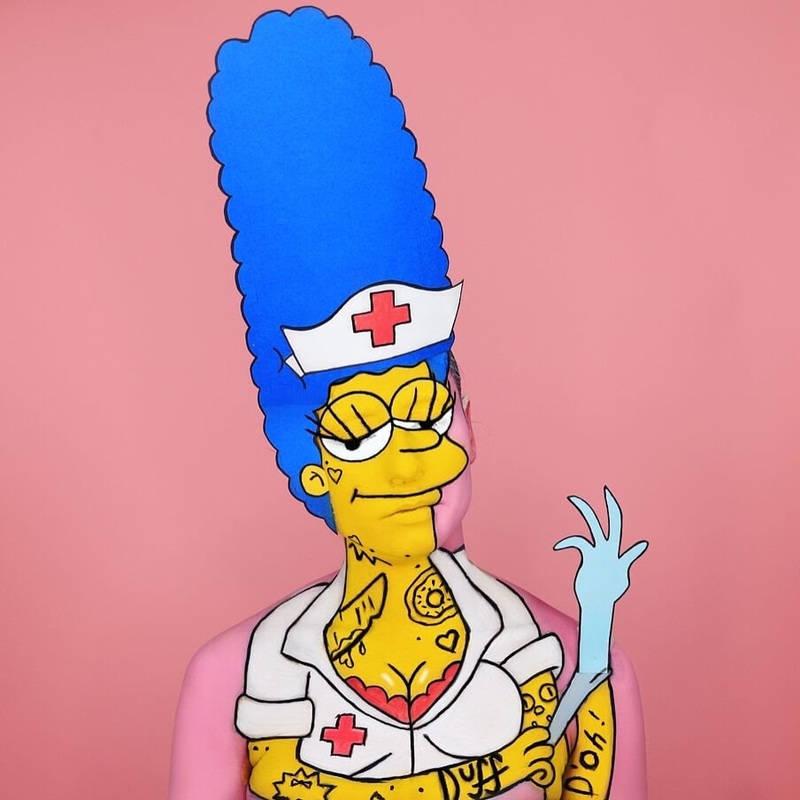 Nurse Marge - The Simpsons. 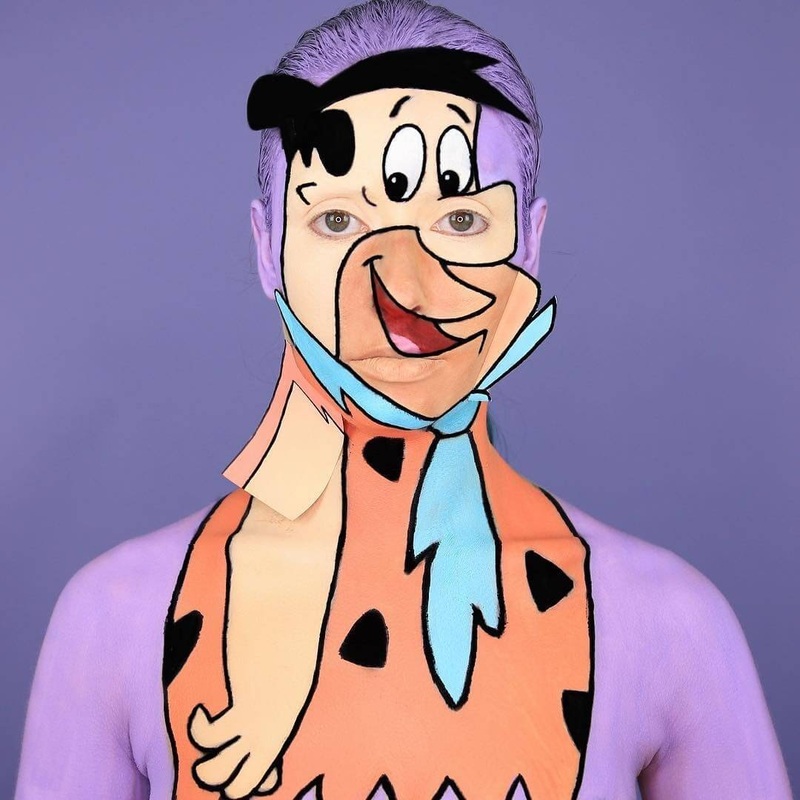 Fred Flintston - Yabba Dabba Doo - The Flintstones. 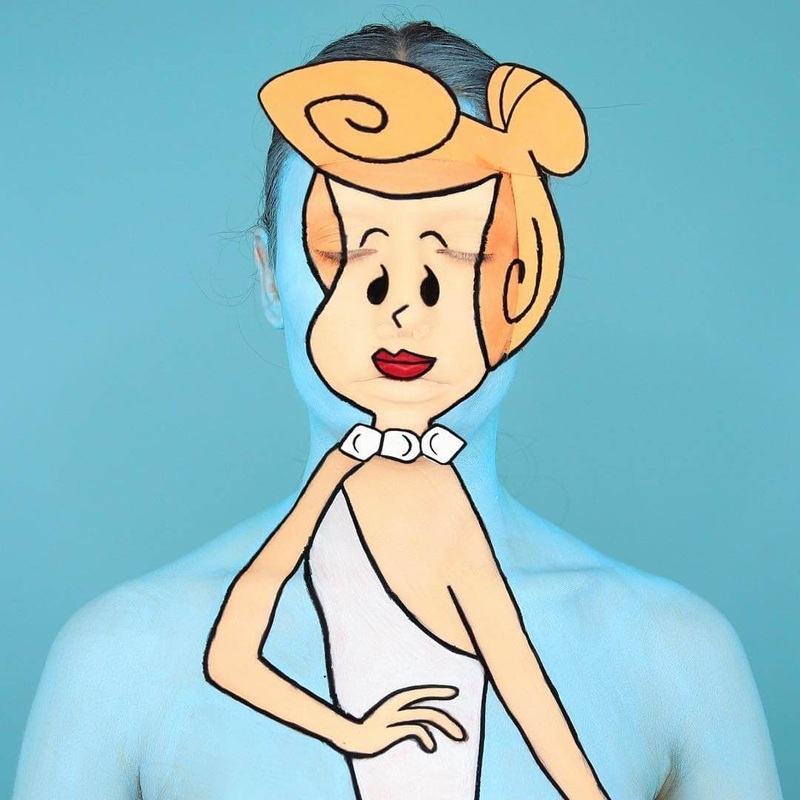 Wilma Flintstone - The Flintstones. 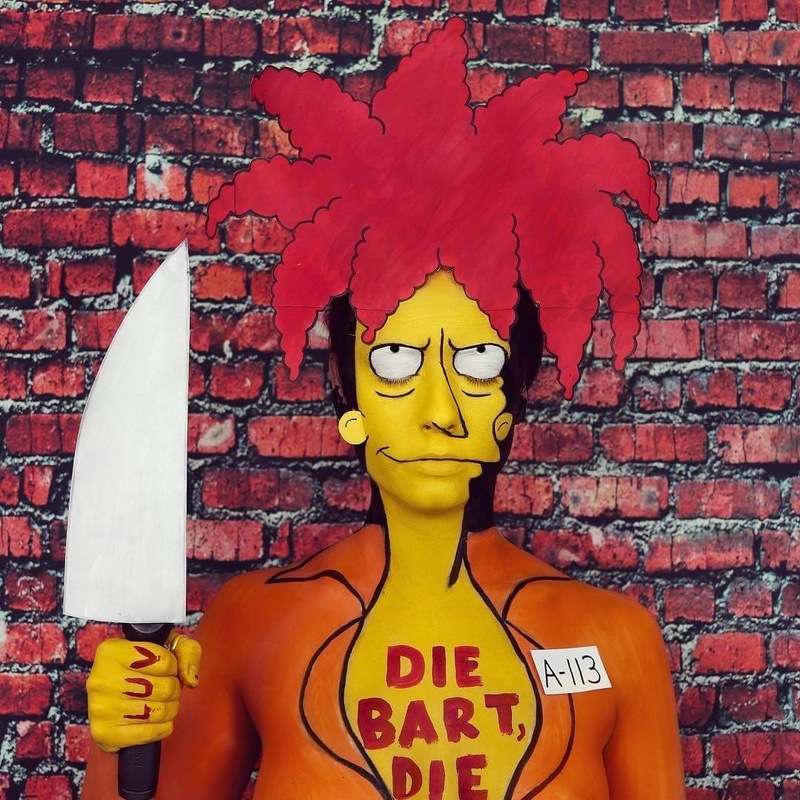 Sideshow Bob from The Simpsons. 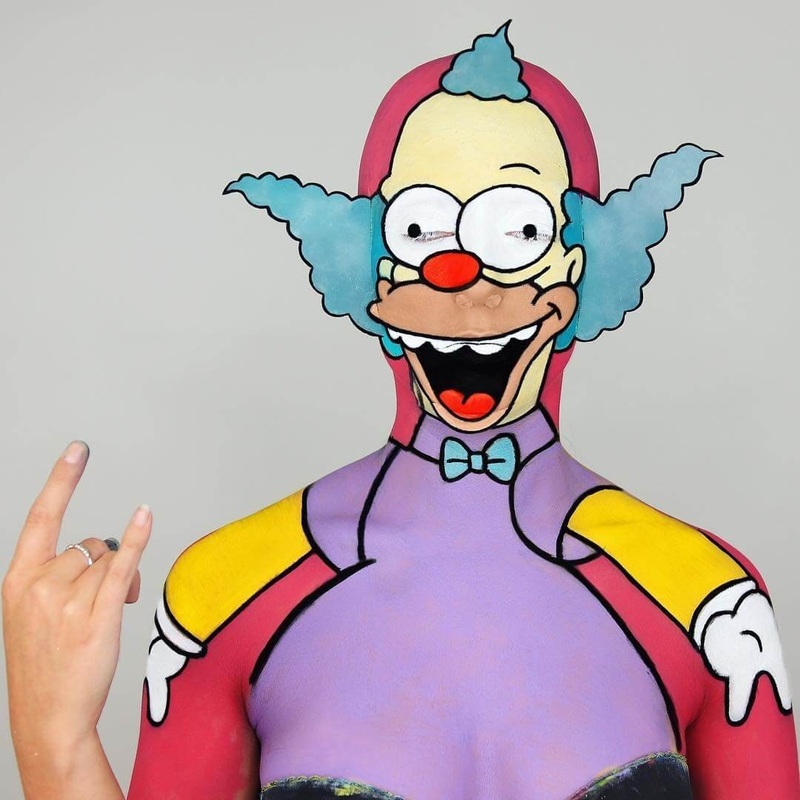 Krusty The Clown from The Simpsons.